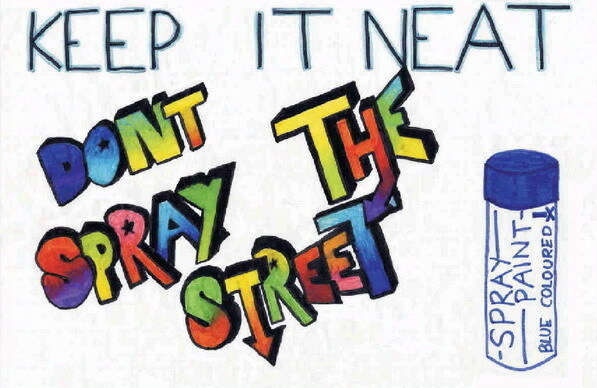 Pupils in all three schools in Kemnay (Kemnay Academy, Kemnay Primary and Alehousewells Primary) were asked by the local Grampian Police schools liaison officer to design posters which would highlight anti-social behaviour problems in their village and help to reduce them. The role of school liaison officers is to interact with the schools to reduce substance abuse, vandalism, road casualties etc. This has been successful in Kemnay. 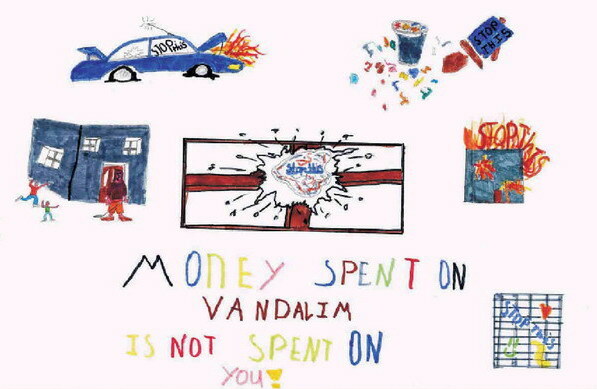 The winning posters, one from each school, highlighting the pupils' concerns about grafitti, vandalism and dog fouling in the village, are shown below. In recognition of their contributions to beating anti-social behaviour, each school was given a cash award for school funds by the Garioch & North Marr Community Safety Group. The winning Kemnay Academy poster designed and drawn by two S3 pupils. The winning Alehousewells Primary School poster designed and drawn by two P7 pupils. 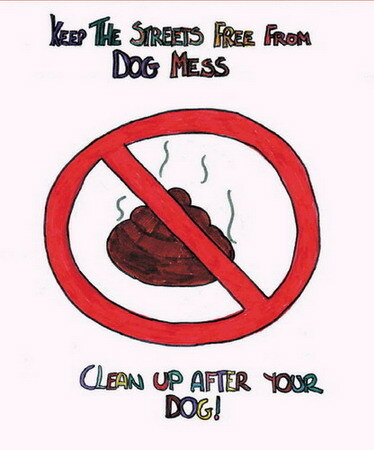 The winning Kemnay Primary School poster designed and drawn by a P7 pupil.